Welcome to the April edition of the 12 Kits of Occasions! The title for this month's kit is Crazy for Coffee. I am the hostess this month for the April 2016 edition of the 12 Kits of Occasions. 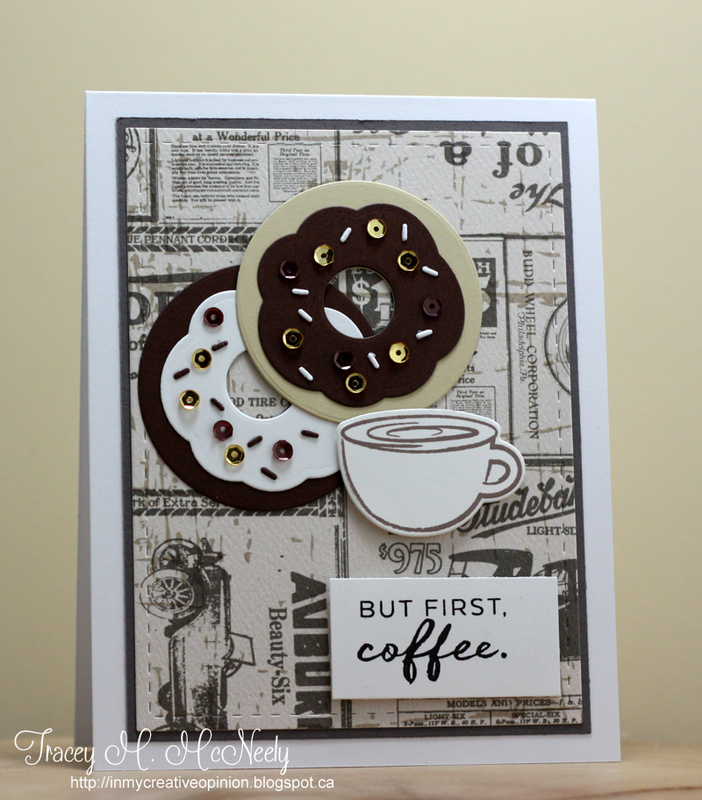 For quite a while now coffee themed projects have been trending and most if not all stamp companies have been creating unique stamps and dies that are coffee themed. I pulled together stamps, dies and patterned papers to give to the team so that they could put whatever spin on them that they wanted. 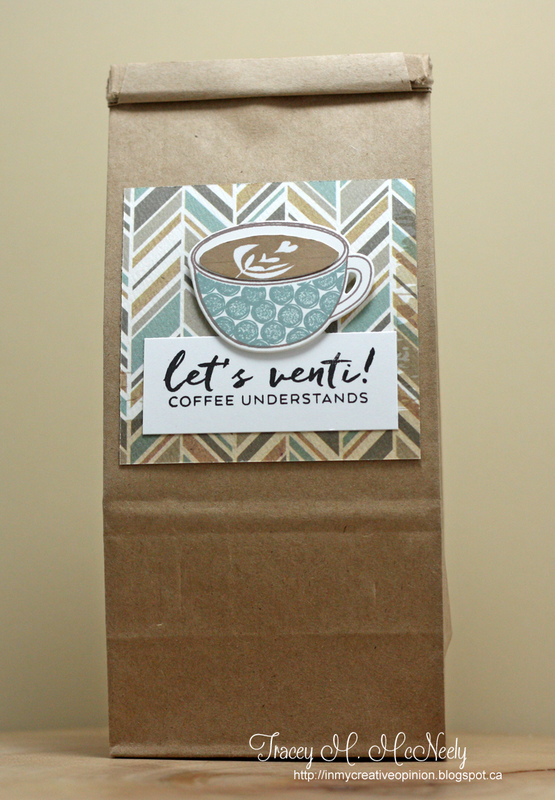 I realize that not everybody is crazy for coffee, like I am, but there are opportunities if you are a coffee lover, a tea lover or maybe you are not a lover of either but enjoy the challenge of making a project using these fun elements. 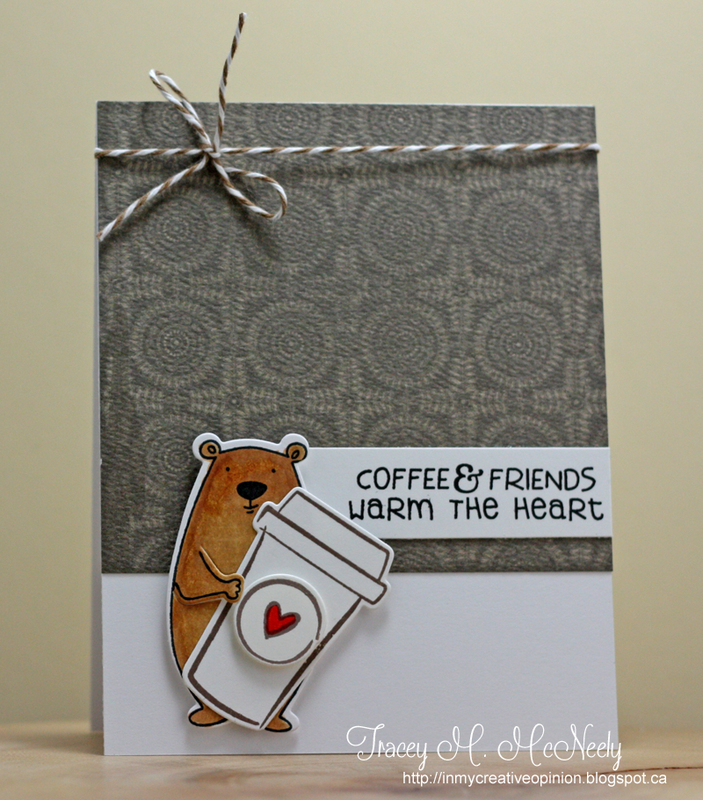 Likely there is someone you know that you can make coffee themed projects for! 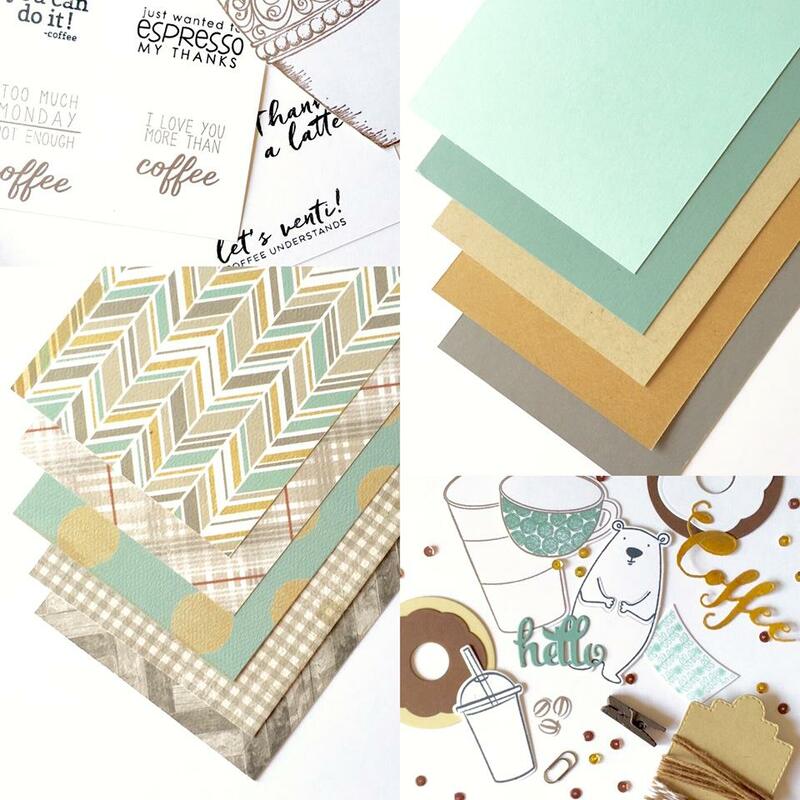 For a complete list of all of the supplies that I sent out to the team this month please click on the supplies 2016 tab over on The 12 Kits of Occasions blog! I have a special surprise to send out to one lucky commenter this month. I am randomly selecting one person from all the blogs along the hop including the 12 Kits blog to receive it. My cards have found a new place to pose in my studio. Things are a little busier around here this week with both of my kids home from University for the summer. Appointments, haircuts and some appropriate business casual attire for Ben. I am ready to put my feet up for the weekend but there is still one more move. Ben is working in Toronto this summer but will he staying at my parents house and taking the train into the city everyday. That will be so much less stressful than driving in rush hour and spending a small fortune on parking. I imagine that he will be spoiled all summer by gramma--lol. Here at home Brooklyn is going to keep me on the go, she has so many things for us to do already planned out. I love that she likes to spend time with her mama. So now for what you came here for, the newest challenge at Tag You're It. This week we have an adorable tag made by Tag You're It Designer Susan Wuthrich. 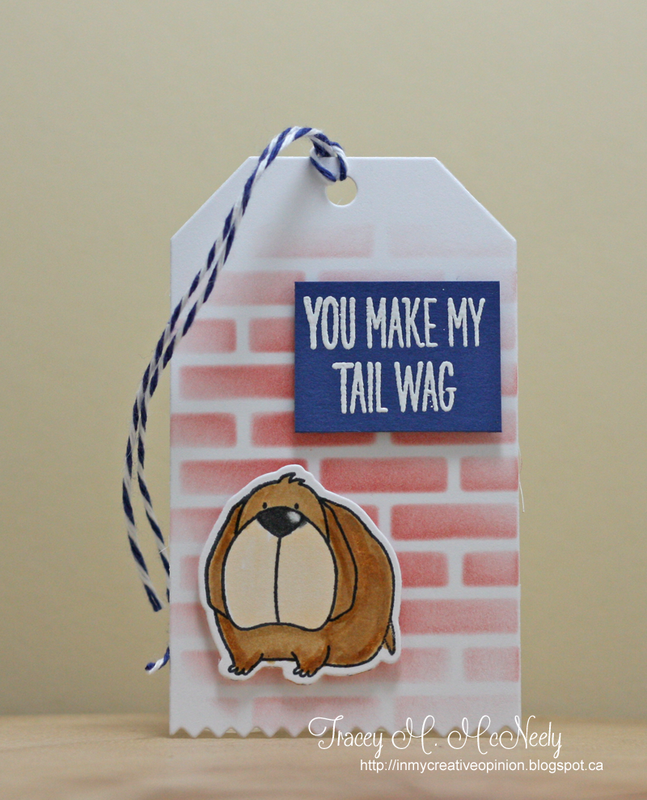 I stenciled a brick wall background on my tag and have a dog in front of it from MFT You Make My Tail Wag. I cut the sentiment in half so I could stack it into two lines instead of one long strip. Both the dog and sign were attached with foam tape. Hope to see you over at Tag You're It to see what the rest of the team has created for this challenge. 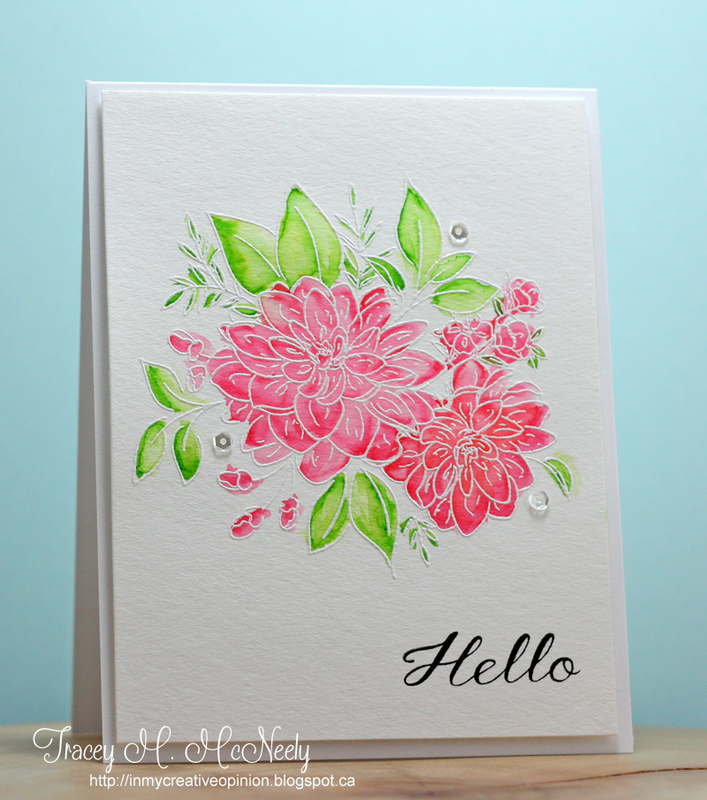 Playing around with my new Wplus9 Beautiful Bouquets Dahlia stamp. I embossed the image in white and coloured it in loosely with my ZIG's. I added a few clear sequins and called it done. I love this image and I can't wait to try it out with different kinds of watercolours and Copics. 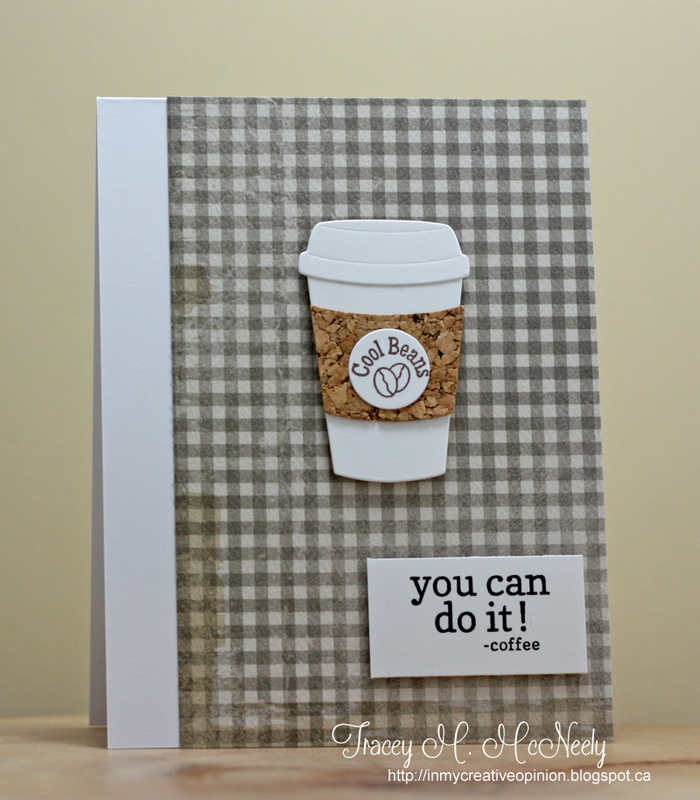 I am submitting this to the Simon Says Stamps Wednesday Challenge: Make it Girlie! It's time for a new cue card at CASology! There are so many ways you can go with this cue word, but my heart kept going for donuts (doughnut--Canadian spelling)--lol! 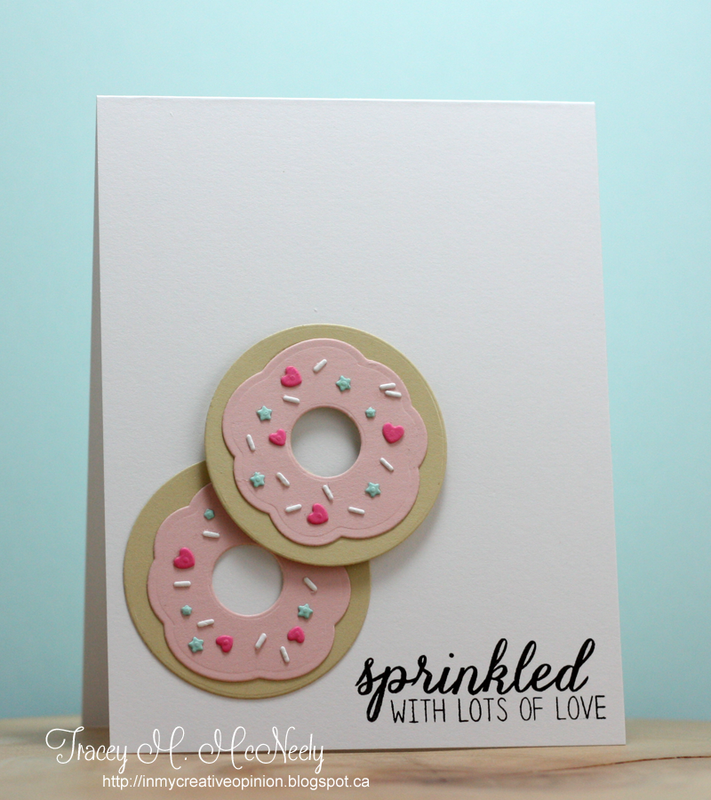 I used the fun donut shapes and sentiments from Reverse Confetti's Donut You Know set. Keeping my design in the lower portion of the card front keeps it CAS. 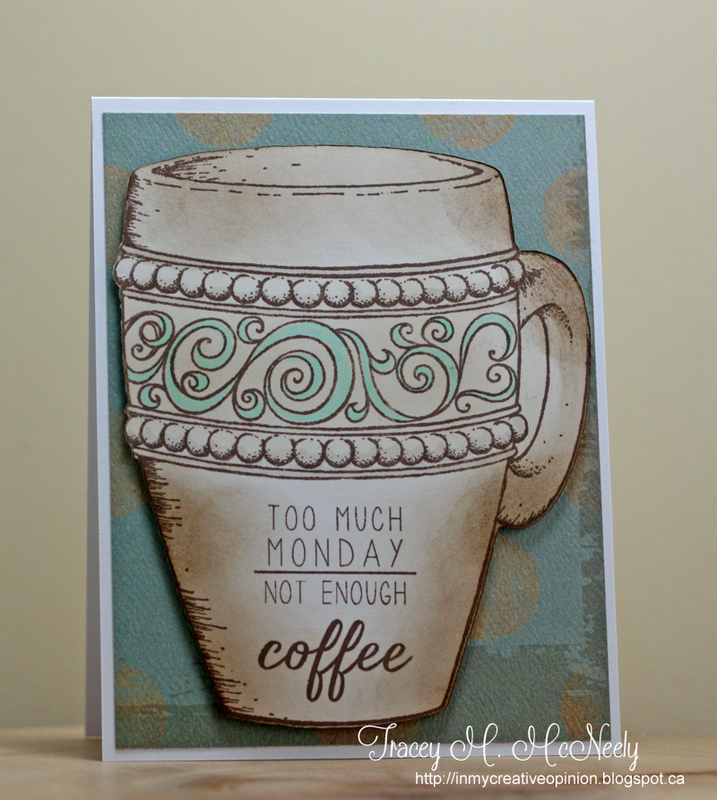 I am also submitting this to the Simon Says Stamps Wednesday Challenge: Make it Girlie! 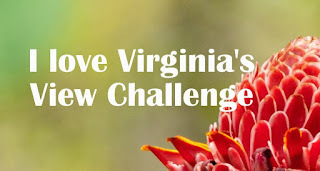 I am linking this up to Virginia's View Linkly Party! I have missed this challenge but I also know how much work it is to keep a challenge running. 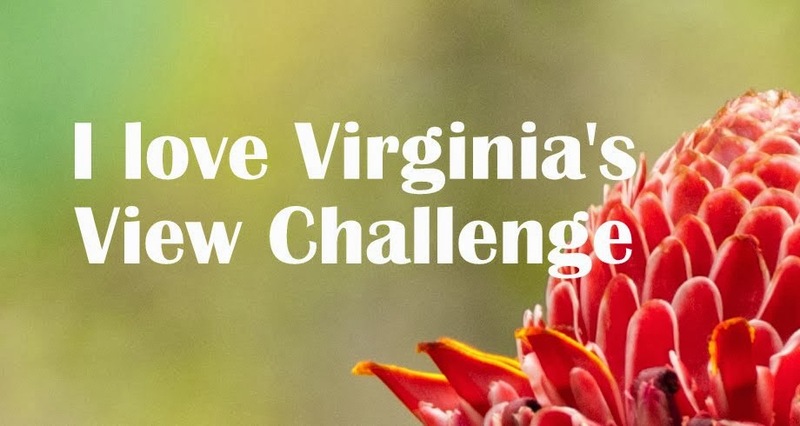 Link up to show Virginia some love! 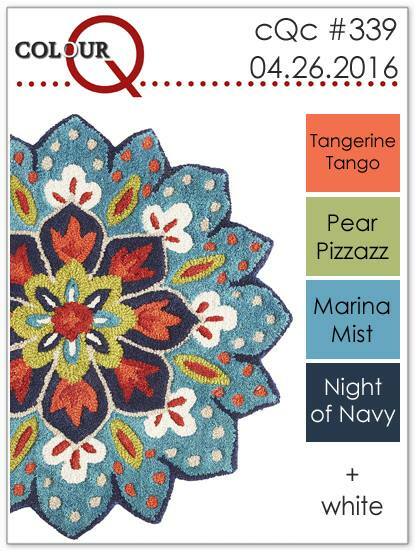 It's time for this week's new colour palette from the colourQ! 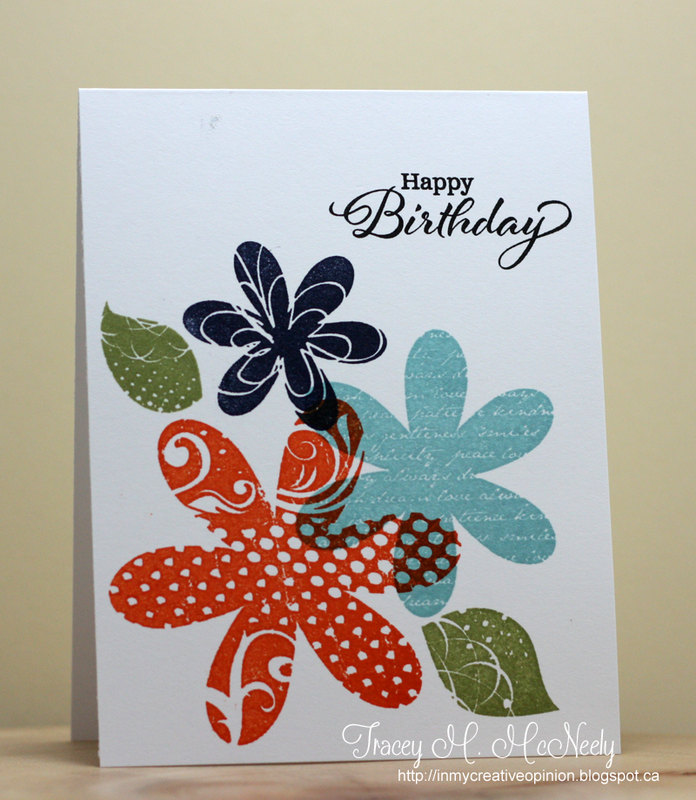 I used Papertrey Ink's Frilly Flowers for my card today. I found the dies very difficult to line up so I decided to make it a one layer card. I started by stamping the lightest colour first. I used Baja Breeze which has long since been retired by Stampin' Up instead of Marina Mist. 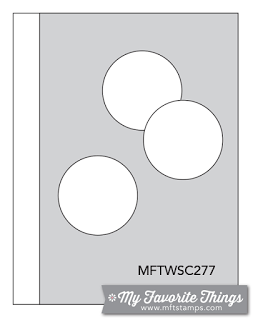 The rest of the ink colours are the same Stampin' Up colours in this week's palette. 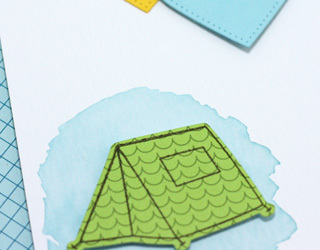 Head over to the colourQ to see what the rest of the team has created this week and hope to see you play along with us! 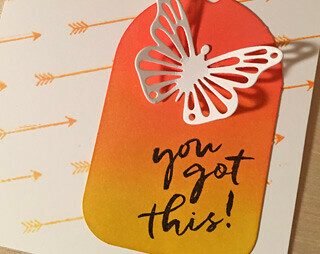 On Sunday I had a chance to create a card for the My Favorite Things Wednesday Sketch Challenge #277 and the Color Challenge #43. I finally broke out my new March Warm & Fuzzy Friends Kit. The images and sentiments are so fun! Happy Spring! 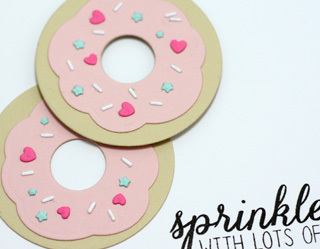 It's Saturday and time for this week's new inspiration over at Inspired by All the Little Things! 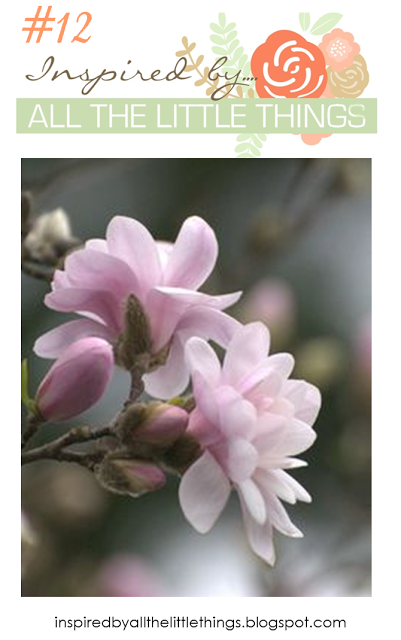 It is my week as your hostess hostess and I chose this beautiful Magnolia bloom as the inspiration for the challenge. In my part of the world Magnolia's are usually the one of the first flowering trees to bloom in the Spring! 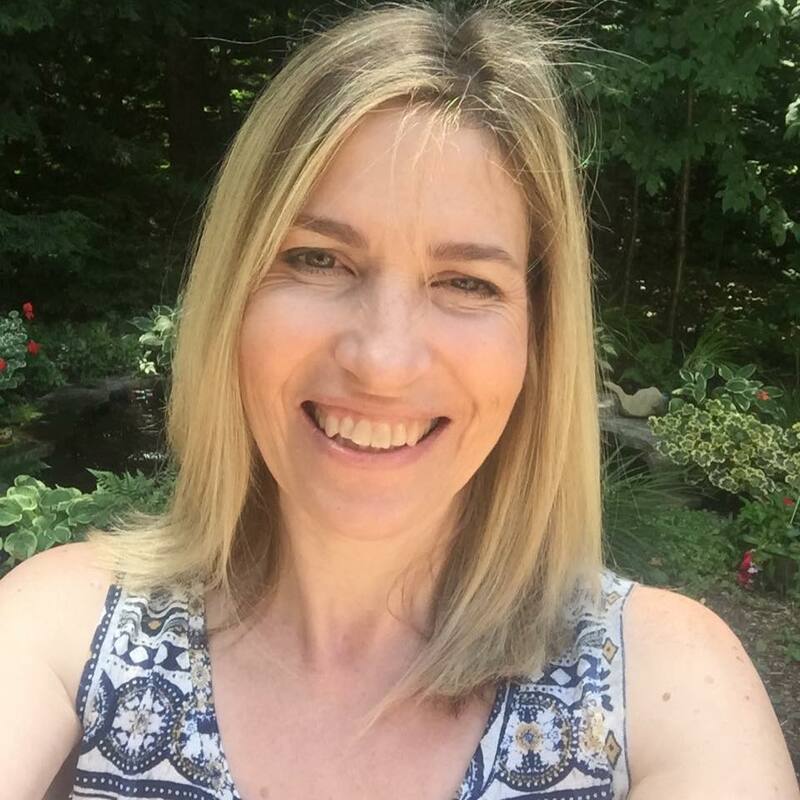 My Guest this week is the fabulous Lynn Mangan! 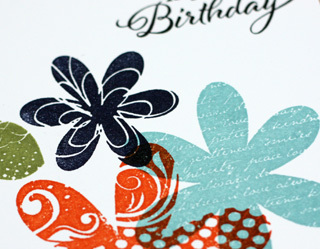 I used the Essential by Ellen Mondo Magnolia stamps and dies for my card. 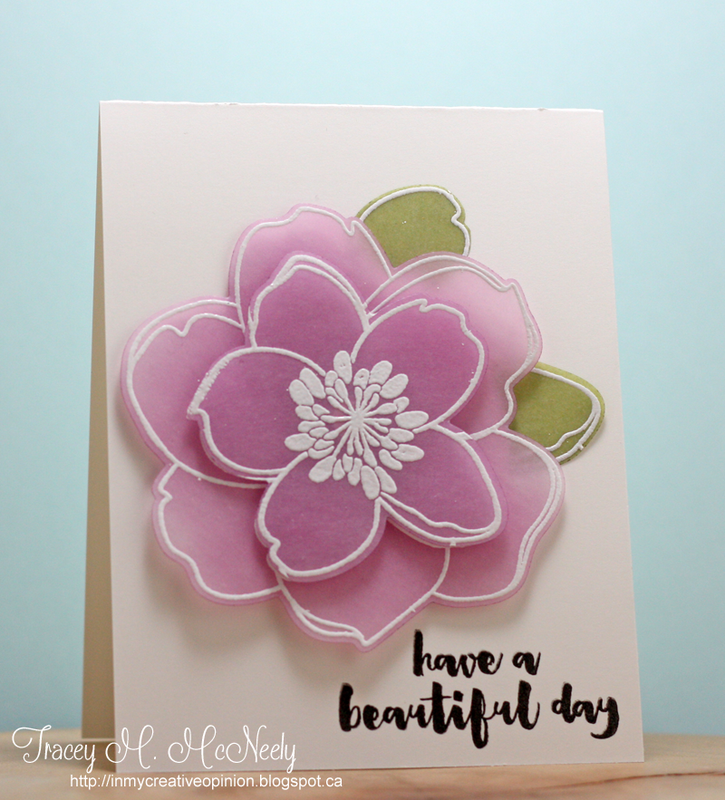 I stamped the bloom three times using VersaMark ink and embossed them with white embossing powder on vellum. 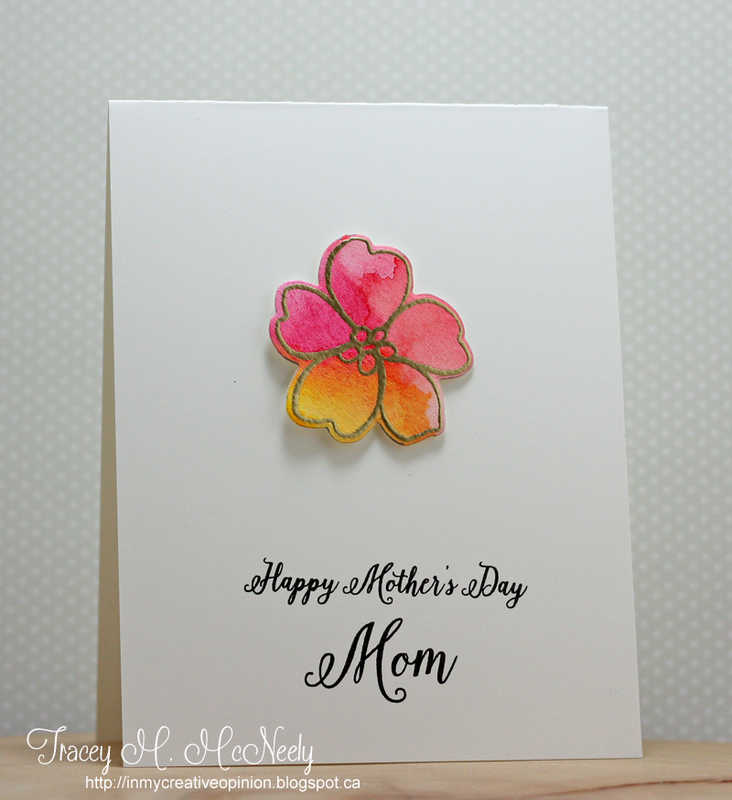 Then I used both the large and small dies to cut out 1 large and two small blooms. I used Dusty Concord Distress Ink to sponge the back of 1 large and 1 small bloom and I used Crushed Olive Distress Ink to sponge the back of the second small bloom. From the green I fussy cut two petals which I used as leaves. I adhered my magnolia using foam tape for dimension and a bit of tape runner on the leaves. 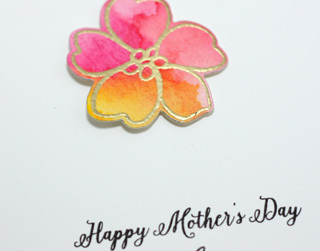 The sentiment, from the same set, was stamped with VersaFine ink. 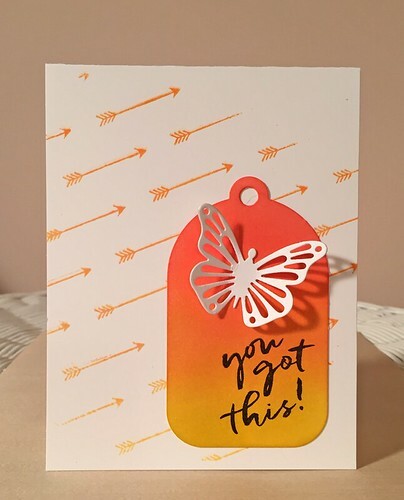 Hop over to the Inspired by blog to see the beautiful card created by Lynn and the creations from our Challenge Team. 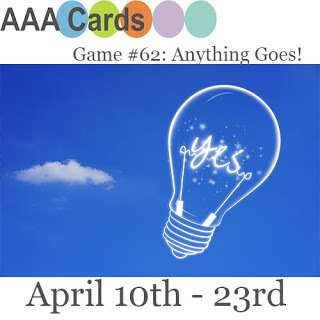 Hope to see you play along, have a fabulous weekend! Didn't this week go fast? Great weather, which we can all take, and made conditions traveling into Toronto so much easier for me. I had a week full of appointments and tests, everything it fine just some annual checkups and an MRI. It is exhausting though. 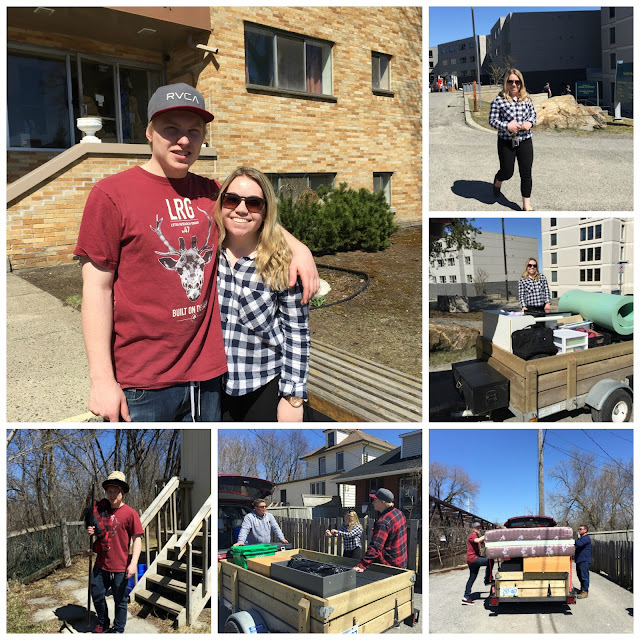 Saturday we are heading up to Sudbury as both of the kids are finished school. Year three completed for Ben and year one for Brooklyn. We are going up to help Ben move into his new apartment, apparently his furniture doesn't fit in his Civic--ha ha! and we are bringing Brooklyn and all her possessions home for the summer. So after 8 months of it being really quiet around the house a flurry of activity is going to be happening for the summer. 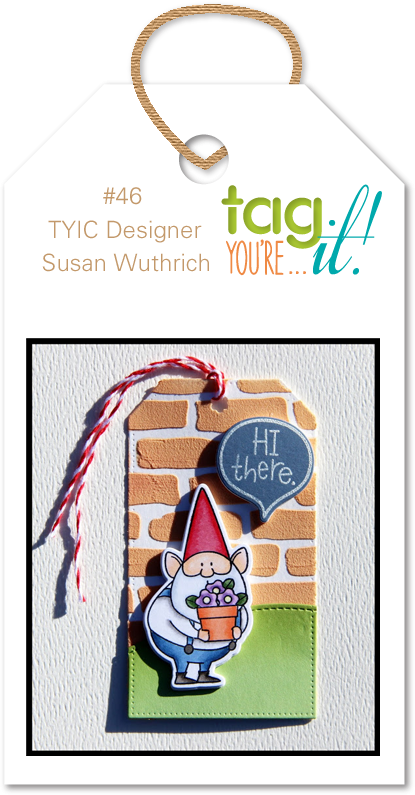 So today I have a tag/card for the Tag You're It Challenge #45 reminder call. I am absolutely in love with the gorgeous ink blending on Carol's tag. I had some big ideas for my contribution but when I packed up my road kit for my road trip I came without a few elements. 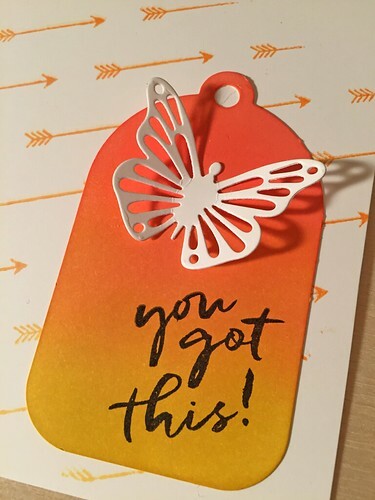 I forgot to bring the stencil I was planning to use so instead I borrowed a clear background stamp from my Mom which I partially inked up with the Hero Arts Butterbar to Orange Soda Ombre ink pad. When I went to do my ink blending, although I brought all of my Mini Distress Ink Pads with me, some of the ink pads didn't have their foam blender on the bottom so that limited my colour choices a bit. 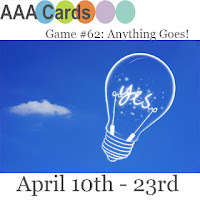 There is still time to play along with this challenge, hope to see you there!! We all have them, those projects we started but never quite got to finishing them. This year I am really going to try to finish some of those. Today I have a card created with a panel I stamped and embossed a few months ago. 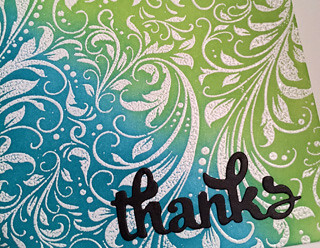 I did an emboss resist technique using Distress Inks, Twisted Citron and Peacock Feathers to be exact. These colours go together beautifully, much more vibrant in real life. My sentiment was die cut in white and then coloured using a black Copic marker. 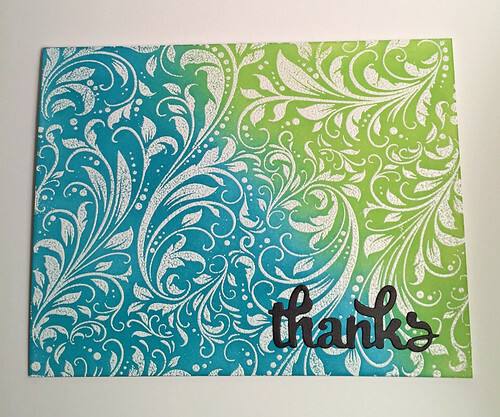 A super quick and easy thank you card! 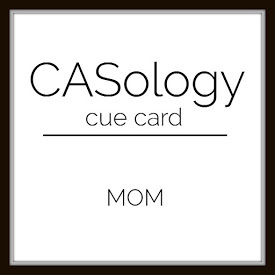 Keeping it very CAS this week, one small image and a sentiment. 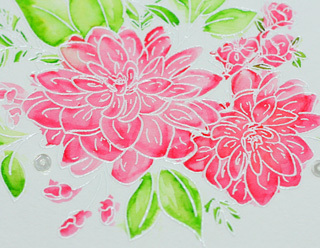 I watercoloured a panel and once dry I stamped my flower in VersaMark ink and heat embossed it in gold. 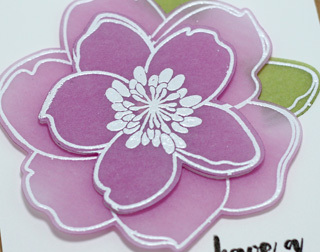 I die cut the flower once the embossing cooled down. 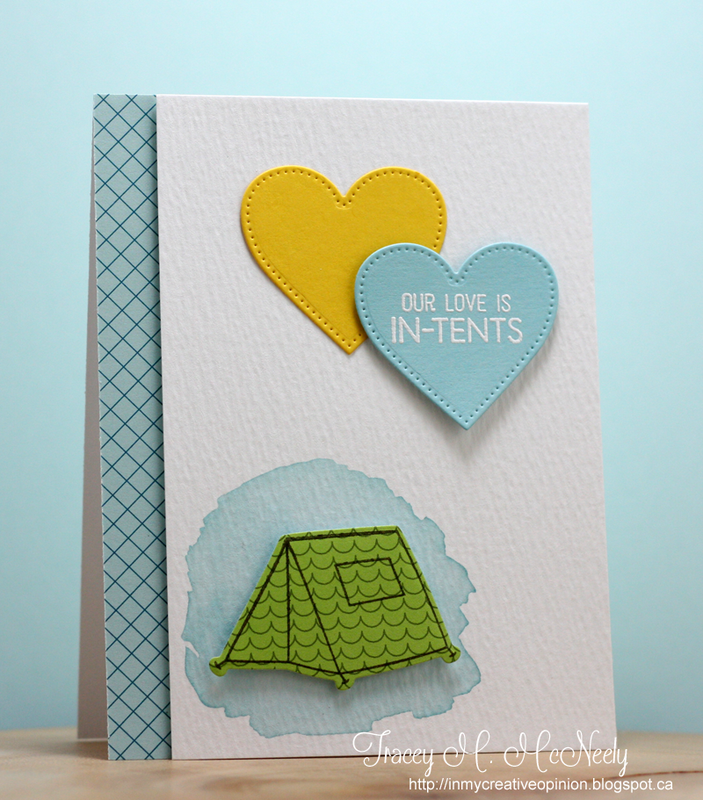 You can use bright and bold colours in CAS card design if you use them in small doses.